SGCB # 2 BEST SELLING TITLE FOR 2006. 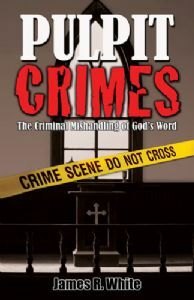 "PULPIT CRIMES: The Criminal Mishandling of God's Word" by James White of Alpha-Omega Ministries may be his most provocative book yet. White sets out to examine numerous "crimes" being commited in pulpits throughout the land every week, as he seeks to leave no stone unturned. Based firmly upon the bedrock of Holy Scripture, one "crime" after another is layed bare for all to see. 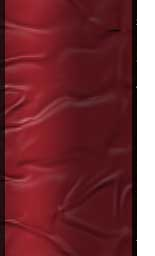 THE FOUR JAMES R. WHITE SOLID GROUND TITLES? (3) IS THE MORMON MY BROTHER? Dr. James White is the director of Alpha and Omega Ministries, a Christian apologetics organization based in Phoenix, Arizona. He is a professor, having taught Greek, Systematic Theology, and various topics in the field of apologetics. He has authored or contributed to more than twenty books, including The King James Only Controversy, The Forgotten Trinity, The Potter's Freedom, and The God Who Justifies. He is an accomplished debater, having engaged in more than fifty moderated, public debates with leading proponents of Roman Catholicism, Islam, Jehovah's Witnesses, and Mormonism. He is an elder of the Phoenix Reformed Baptist Church, has been married to Kelli for more than twenty-two years, and has two children, Joshua and Summer.